Discover how to perform Enochian magick with a straightforward guide that shows just what to do. 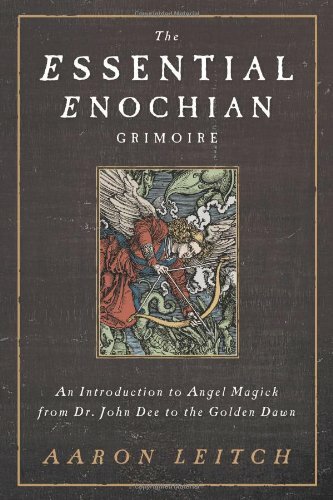 The Essential Enochian Grimoire is an easy-to-read manual that’s light enough to carry in a magickal circle yet provides all the details you need to perform the ceremonies. Impeccably researched and clearly organized, this book is the definitive primer on a topic that has captivated esotericists for centuries. Explore the history of Enochian cosmology, the angels and the spirits of the system, the temple setup, and the making and usage of the tools. Learn the secrets of John Dee’s classical Enochian system as well as the modern system developed by the Golden Dawn. Practice the rituals of the new and the old . . . and summon the angels who guard the gates of heaven.